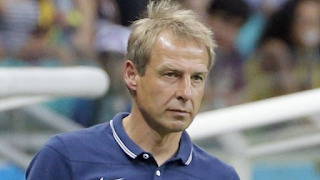 Jurgen Klinsmann to be new Japan boss? It is looking like Jurgen Klinsmann will now be replacing Akira Nishino as the manager of Japan. As the current head coach, Nishino was brought in to take temporary charge after Vahid Halilhodžić was sack so close to the start of the World Cup. While it did look for a time like Akira Nishino would be a front-runner for the job on a permanent basis, this now looks to not be the case. It's looking like the bookies favourite and the JFA favourite is the German Jurgen Klinsmann. Well, Klinsmann is a German coach and former footballer. As a player, he played as a striker and had a very impressive career which involved playing for some top European clubs such as Inter Milan, Tottenham Hotspur and Bayern Munich. He also averaged nearly a goal in every two for his country and won the World Cup in 1990 with Germany. On paper, his CV looks pretty impressive as he has managed Germany, Bayern Munich and the USA. The manager had a very good spell with Germany after many critics for his approach and he left the role in charge of his country more for personal reasons than footballing ones. Then after a two year spell out of football the German became the Bayern Munich head coach in 2008. Although his time in Munich was not to be so good as he lost 10 of his 44 games in charge. A record which is worse when you consider the team are recognised the best in Germany and should be winning most weeks. This is now when the alarm bells might be ringing for Japan fans as it was similarly observed in Phillip Lahm's autobiography that his tactics where poor and the team had to meet before a game to discuss tactics away from him. How did he do in America? Well first off he was working in the MLS but for Canadian club Toronto FC. His task at the club was to overhaul the club's coaching and playing personnel which he did. It must have been seen as enough of a success as the USA national job came up for him. Although some of his time with Toronto was not the success it was seen as the management team he hired took Toronto FC to last place in 2012 a year after he left his role with the club. Looking then at the German's time as manager of the USA he led them to the World Cup in 2014, which they went out of in the Round of 16 to Belgium in extra time. He did have his positives as manager of the USA but his tactics were again called in to question and he was eventually sacked after failing to qualify for the 2018 World Cup ahead of Panama. What does Japan think of his appointment? It is fair to say with Jurgen Klinsmann's name being touted as the new Japan coach the countries fans have not been jumping up and down in excitement about this. The fans seem to be a little concerned about his tactics and approach to the game. However, when the German featured on the BBC in the UK he talked at length about Japan and praised the countries approach to football. This would indicate he knows about the game in Japan and if this is the case maybe he could be the one to help bring the new generation through.